Announcement: DJILP – ILS Happy Hour Tomorrow! 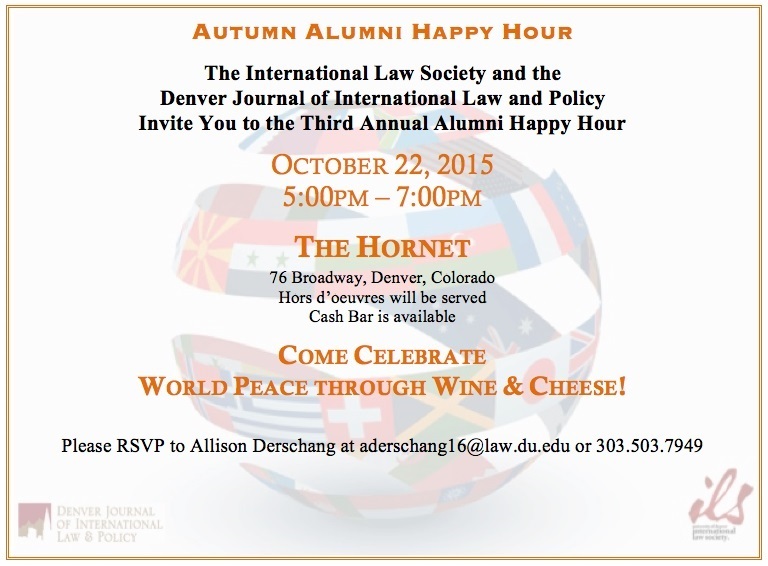 The Autumn Alumni Happy Hour has been scheduled for Thursday October 22, 2015 at The Hornet – 76 Broadway, Denver Colorado from 5pm – 7pm. We invite all to attend! Come Celebrate World Peace through Wine & Cheese!